Milk Fiber was firstly introduced in 1930 in Italy & America to compete the wool. It is new generation of innovative Fiber & a kind of synthetic Fiber made of milk casein Fiber through bio-engineering method with biological health which has passed international ecological certification of oeko-tex standard 100. There are also some different brands for the same fiber manufactured from milk casein known as Aralac, Lanatil and Merinova. Cyarn milk protein fiber dewaters and skims milk, and manufactures the protein spinning fluid suitable for wet spinning process by means of new bio-engineering technique, and new high-grade textile fiber is made by combining them. Cyarn milk protein fiber is healthy for skin, comfortable, with bright colors due to good dyeability, etc. The milk protein fiber can be spun purely or spun with cashmere, silk, spun silk, cotton, wool, ramie and other fibers to weave fabrics with the features of milk protein fiber. It can also be used to create top-grade underwear, shirts, T shirts, loungewear, etc. to satisfy people's pursuit of comfortable, healthy, superior and fashionable garments. Light, soft, comfortable, colorful and Elegant Colorful -Keeping tender hand-touch and right color after several washings Easy Care-Being resistant to fungus, good moisture absorption & conduction, insects and aging. As it is having continues graft polymerization technique hence it is totally eco-friendly in nature. It can be considered as "Green Product" as no formaldehyde is present in the product. Milk fiber is made from milk casein instead of fresh milk. We may use acid, reactive or cationic dyes for this kind of specialty fiber. Ph of milk fiber is 6.8 which are same as that of human skin. Hence the products made up from them are more compatible to human skin. Milk Fiber contains seventeen amino acids & natural anti-bacterial rate is above eighty percent. Hence milk fiber has sanitarian function. It is a new synthetic Fiber having milk protein as main material based on high technical process. Milk Fiber has the advantages natural Fiber combined with synthetic Fiber. 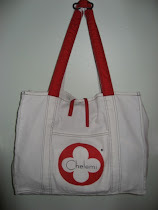 Chelemi™ is a Clothing Brand created and designed for healthcare professionals - by Michele, RN. Its vision is to combine innovative with traditional designs using earth-friendly materials that provides comfort and sophisticated style in one. Copyright © Chelemi Clothing. All rights reserved. Travel theme. Powered by Blogger.